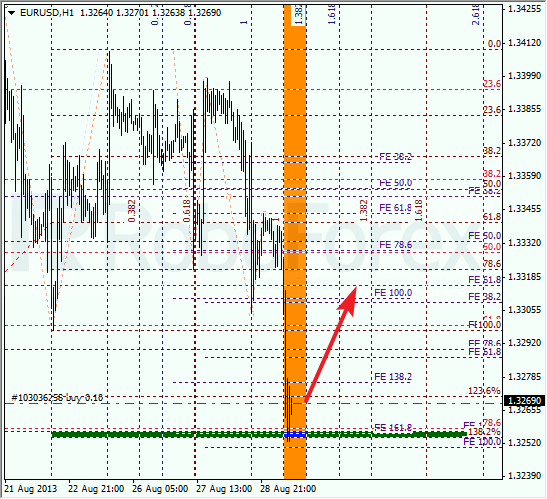 The USD/EUR currency pair is still being corrected. The price reach the correctional level of 78.6%, which is confirmed by several more fibo-levels. In addition to that, the temporary fibo-zones also indicate a possible reverse. 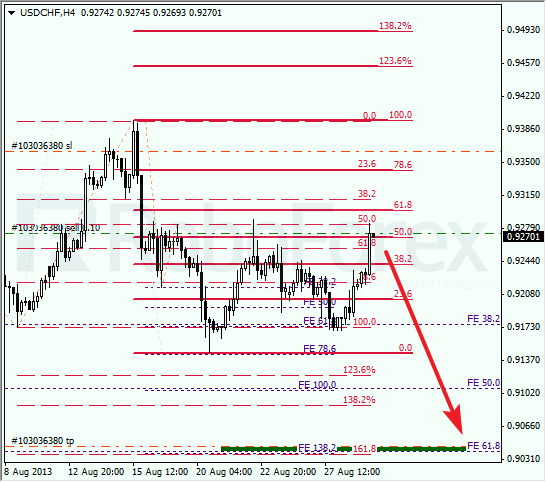 At the H1 chart we can see, that in the target area there is one more confirming fibo level, 161.8% (extension). I’ve got only one buy order so far, but after the price rebounds from several fibo-levels I’m planning to increase my long position. Franc is also being corrected. If the pair rebounds from the level of 50% twice, it will be a very strong bearish signal. In this case, the price may break the minimum during the next several days. 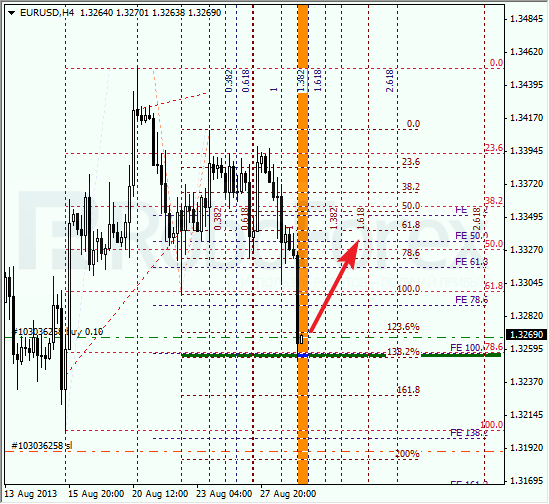 At the H1 chart, the price is very close to a temporary fibo-zone. We can’t exclude a possibility that the pair may make a reverse during the day. Later the pair is expected to start falling down towards the area with several fibo-levels at the bottom of the chart.